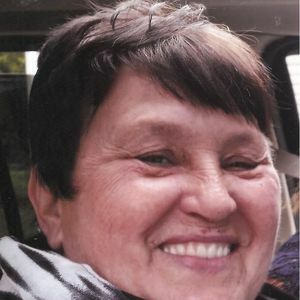 BREMEN - Kay Anderson, 62, of Bremen, died Tuesday, December 23, 2014, at 3:41PM at Muhlenberg Community Hospital. Mrs. Anderson was born December 12, 1952, in Muhlenberg County. She was a homemaker and member of Church Street General Baptist Church. Kay enjoyed spending time with her family, especially her grandson, Cole. She loved her church and church family even though she wasn't able to attend like she wanted. She always had a kind heart and helping hand to anyone in need. She left this world to be with her heavenly father and family in paradise. She was be greatly missed by many. She was preceded in death by her grandson, Traycin Anderson; father Rufus Jr. Rager; brother Jerry Wayne Rager; and sister Kathy Rager. Survivors include her husband, Doug Anderson; son Troy (Nikki) Anderson of Bremen; daughters Tonya (Mark) Bullock and Melonie Anderson, both of Bremen; grandchildren Cole Anderson, Terrian Bullock, and Takaylia Bullock; mother Eyvone Rager of Bremen; brother Terry Rager of Bremen; and sister Linda (Mark) Edds of Bremen. Funeral services will be Sunday, December 28, 2014, at 1:00PM at Tucker Funeral Home in Central City, with Bro. Danny Greene officiating. Burial in Bethlehem Cemetery. Visitation will be Saturday after 5:00PM at the funeral home. Online condolences may be made at www.tuckerfuneralhomes.com. I have wondered and worried what would be the right words to say. Kay's death was so depressing after she had struggled through so much. But the truth is that there aren't any words. Ms. Kay was a jewel, a true treasure to the Bremen Community. She and her whole family bent over backwards to provide for each other and the community. She endured hardships and struggles not like a typical person would. She smiled right through them as if she were telling the hardships, "I'm not afraid of you." When she hurt, the community hurt because such a powerful smile shakes the foundations of your heart and questions your humanity. Losing her was losing a part of your family and yourself. I am sad and sorry to say that it has been years since I have seen her. I struggled so much with my hardships and failed. I will never be as strong as this lady was. I only wish I had a fraction of that kind of love, grit and pure joy. I am sorry that I couldn't be there, but I am praying for you all. You all are thought of joyfully and are loved. I am so thankful to have had Miss Kay in my life for several years. When I moved to Greenville to begin my teaching career, I didn't know anyone. I was employeed with the Greenville Independent School system just a few days before school started in 1981. The few days I had after I got the job, were filled with trying to get moved to town and settled into an apartment. I can remember very well showing up to my job that first day and meeting Kay. She introduced herself and told me she was going to be my aide in the classroom. Fortunately for me, she was familiar with the school and knew the teachers there from previous years. Somehow I stumbled through the first half of our first day and Kay told me it was time for lunch. I asked her how she knew that, and she told me that it was the time that class had always gone. I lined all the kids up to head to the cafeteria and realized I didn't even know where the cafeteria was! Funny!! I told Kay she was going to have to lead us to lunch that day. She was indeed my lifesaver that first year. God bless Kay's family as they go through these most difficult times. I pray that they can focus not on their loss, but focus instead of the many happy memories they have of her. so sorry for your loss! Kay was a great person and she will be missed so much! I went to school at Bremen High School with Kay and thought of her as a good friend. She would attend the class reunions of the Bremen High School Class of 1972 and we enjoyed some great fellowships together. I am very sorry of your loss and will be praying for you during these difficult days. I am sorry I will not be able to get to Central City for the visitation and funeral but I will be present in my thoughts and prayers. God bless you and comfort each one of you. KAY WILL BE MISSED SO VERY MUCH! SHE WAS A SWEET, CARING, LOVING PERSON. WE WILL BE PRAYING FOR YOUR FAMILY! KEEP YOUR FAITH IN THE LORD!!! Dougie,Frank and I am very sorry to hear of your wifes passing.I know she was a sweet lady and will be sadly missed and fondly remembered by a lot of people.May God be with you as you deal with your grief. Prayers for the family! Such a sweet lady!! She's singing with the angels now!! Kay was such a wonderful lady. She always had a hug and a smile for me every time she saw me. She will definitely be missed. Prayers for the family. I don't even know where to begin. .....The year I moved in with papa just right down the road from you guys. Melonie and I became good friends and Kay instantly fell in love with me. I loved her laugh and did stuff all the time to make her smile.she had the biggest heart and did stuff for me all the time. I love her so much and I so sorry she had to leave us my heart goes out to all of you. Dough, troy, melonie love you guys.